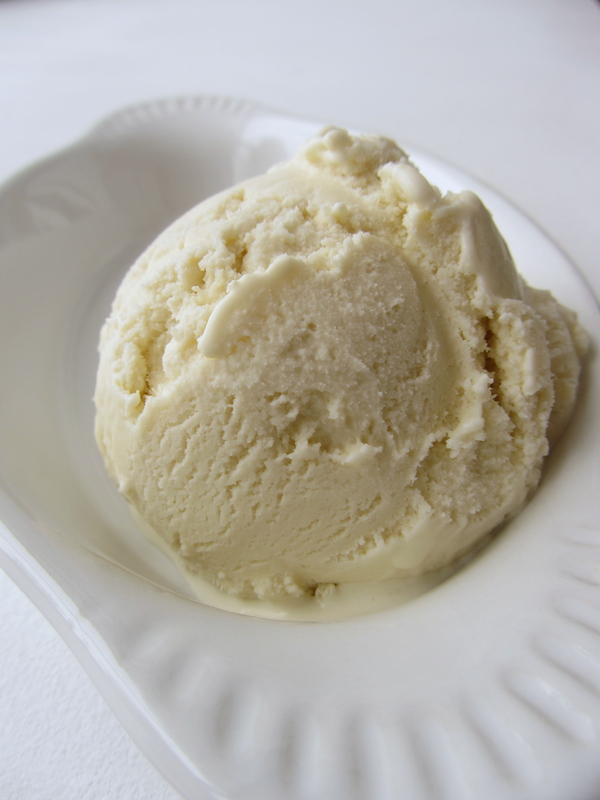 This aromatic ice cream boasts a subtle and complex flavor that tastes so luxe, it belies the ease of its making. Using my vanilla recipe as a starting point, all it took was a few ingredient tweaks and method changes to transform the minimal classic into a fanciful floral. I really enjoy how the spice of lavender is balanced by the honey’s natural sweetness, and is all tied together by the vanilla and cream for a smooth after-taste that leaves just the slightest hint of fragrance on the roof of the mouth. 1. Place the lavender into a disposable teabag, or tie into a piece of cheesecloth. 2. In a small saucepan, whisk together the milk, honey, eggs, and salt. Add in the lavender pouch. Cook over low heat, stirring constantly and pressing on the lavender to release its flavors, until mixture has thickened enough to coat the back of a spoon, about 5-7 minutes. 3. Pass the egg mixture through a fine mesh strainer into a large bowl. Stir in the heavy cream and vanilla extract.